Wireless Uplighting! 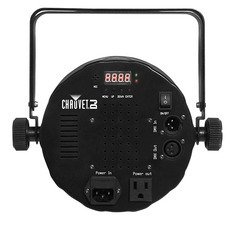 These lights include a built-in battery that will keep the lights powered on for up to around 12 hours. Battery powered lights offer the cleanest setup - no wires to run and worry about hiding or taping down! Please keep in mind that you will need to charge the batteries prior to use (can take up to 8 hours to fully charge) and you do need to plug them in to charge them (charging cables are included). You can quickly select a color using the digital display which is located on the back of each fixture. If you want the lights to automatically change colors, there are a few patterns to choose from. The patterns are slow fade, fast fade, and change to the beat of the music. You can adjust the speed of the fades also using the digital display. No cables to run makes setup so quick and easy! 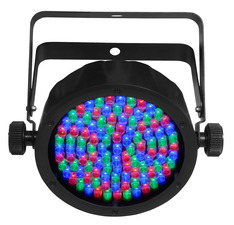 Works fantastic for stage lighting, uplighting, decorative lighting, accent lighting, etc. 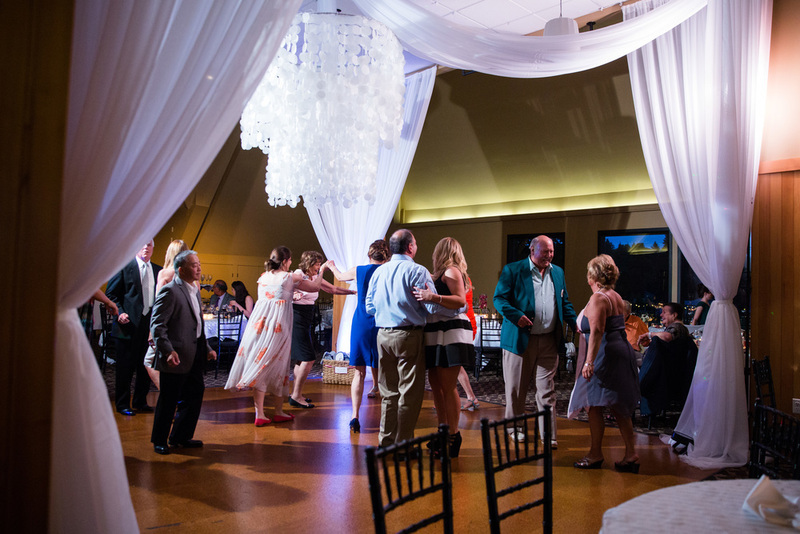 Rent a few extra for the dance floor to provide a nice color wash. The wireless lights book up very quickly, please reserve early. Wondering how many Wireless EZPar 56 to rent? Just enter either the square footage, or dimensions of the area you want to light in the form below to get an instant recommendation.